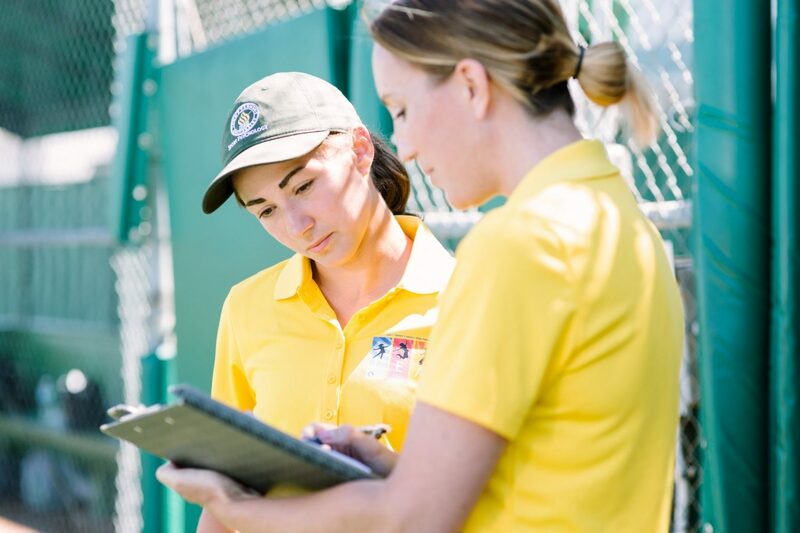 For individuals interested in both sport and clinical psychology, John F. Kennedy University offers an innovative program preparing students to work in clinical settings as well as with athletes in a sport setting. Individuals work toward earning an MA in Sport Psychology and a PsyD degree concurrently. This program provides a unique training opportunity with clinical clients, athletes, as well as athletes with clinical concerns. And it prepares you to apply the skills and knowledge developed from the fields of sport and clinical psychology. Both the Master of Arts in Sport Psychology and the PsyD offer the highest level of available training in applied sport and clinical psychology respectively. (Unlike a research-based Ph.D., the PsyD program is designed to produce practitioners, not researchers, while providing the same high level of scholarly study.) And the missions of the two programs are similar: both provide a strong foundation in counseling skills and train students to serve multicultural and diverse populations. In the past, students could earn a Master’s degree in two years and a Doctorate in Psychology in an additional four years. This innovative linked program allows completion of both degrees within five years of intensive, full-time study (part-time options are available). Students earn their Master of Arts in Sport Psychology after their third year and they earn their PsyD after their fifth year. With both degrees, graduates are able to use the title “Sport Psychologist” and apply to sit for the Association for Applied Sport Psychology (AASP) certification exam. Graduates also earn eligibility to take the psychology licensing exam for the state of California. Electives: 16 units minimum: May be taken anytime after Spring Quarter of Year 2. The course examines selected topics within the sociology and history of sport. Particular emphasis will be given to issues related to the potential of sport to benefit society and its potential to reinforce existing social problems. Students will be encouraged to reflect on their own experiences within sport and to explore in detail one area of special interest within the history and sociology of sport. The course offers an analysis of sport as a social institution and the interrelations between sport and societal subsystems, as well as a consideration of the attitudes, values, and behaviors associated with sport. Analysis of contemporary problems associated with sport will be made, with ties made to their historic origins; such problems include race relations, the traditional and emergent role of women, aggression and violence, and political and economic concerns. Examines ethical issues that impact the field of applied sport psychology. Through reading, lecture, and interaction with an experienced professional, students learn how ethical issues influence consultation and develop ways to deal with ethical dilemmas that may arise in sport psychology. Introduction to basic counseling skills and techniques relevant to sport psychology consulting in a safe and supervised environment. Included are tools for building rapport, empathy, listening and life-development skills, treatment versus consulting, ethics, closure, and termination. Students will also develop skills in presenting sport psychology intervention material. Prereq: PSP5815 Focus is on individual and team consultation. Features role-play, case study, and videotaping. Coursework includes introduction to external field placement opportunities. Second half of a two-quarter sequence with PSP5815. The course examines selected topics within the social psychology and sociology of sport. Particular emphasis will be given to issues related to group behavior and dynamics, leadership, interpersonal communication, the potential of sport to benefit society, and its potential to reinforce existent social problems. The course offers and analysis of sport as a social institution and the interrelations between sport and societal subsystems, as well as a consideration of the attitudes, values, and behaviors associated with sport. Students will be encouraged to reflect on their own experiences within sport. Analysis of contemporary problems associated with sport will be made; such problems include race relations, the traditional and emergent role of women, aggression and violence, and political and economic concerns. Additionally, students will learn team building and communication skills and strategies that will enable them to effectively work within the current framework of sport in society. The course will examine the practical and theoretical application of group process and social psychology in relation to working in the field of sport psychology. The students will gain an understanding of group behavior and dynamics and will be able to use this knowledge with diverse populations. Students will learn to recognize ethical issues in relation to working with groups and will examine their interpersonal and professional style. Examines a variety of assessment methods used to gain information from athletes, coaches, or teams utilizing sport psychology professionals. Topics to be covered include the role of assessment in the initial stages of work with athletes, methods of informal assessment, sport-specific assessment tools, issues of reliability and validity with instruments, and the ethical use of measures in the practice of sport psychology. Online or in residence. Covers field placement and individual and group supervision. The field-placement aspect requires students to intern at a site working with athletes and applying skills learned in the classroom. Individual and group supervision involves one-on-one meetings, discussions, case presentations, and role-playing and covers ethical issues. Provides students with a supportive environment for discussion and for exploring issues which pertain to their fieldwork experience. This course may be retaken for additional credit. This course will teach students how to apply the principles of motor learning and performance in a variety of real-world situations. Students will learn to identify solutions that address many of the issues and obstacles encountered when teaching and learning motor skills. Students are placed for eight hours per week in settings, generally schools or community mental health agencies, which allow them to engage in an ethnographic observation/participation of individuals and groups that are culturally different from the students in significant ways. The ethnographic placement is designed to enhance clinical and cultural competence by broadening the student’s exposure and appreciation of “others,” while gaining an indepth understanding of his or her own assumptions, stereotypes, and biases. Co-requisites: PSD 7046, PSD 7047. Students explore the foundations of group therapy and engage in group process over the course of three quarters. They reflect upon the group dynamics of their ethnographic placement, their own collective experience within the IPS and the range of perspectives encountered in the assigned academic reading. They also explore the meanings of cultural differences in a group context. In the Fall quarter, students explore the foundations of group therapy with particular emphasis on the beginning stages of group development. Students also participate in group process with a self-reflective focus on the multicultural course content. In the Winter quarter, students explore the foundations of group therapy with particular emphasis on the working stages of group development. Students also participate in group process with particular emphasis on self-reflection as well as multicultural and group dynamics related to power, privilege, and oppression. In the Spring quarter, students explore the foundations of group therapy with particular emphasis on termination, and the closing stages of group development. Students also participate in group process with particular emphasis on self-reflection, as well as clinical considerations of multicultural and group dynamics related to power, privilege, and oppression. Co-requisites: PSD 7035, PSD 7047. In this part of the IPS curriculum students examine and critically consider contemporary and empirical literature in multicultural psychology. Students explore the effects of power, privilege, and oppression on psychological functioning. Students are encouraged to develop self-awareness and a heightened sensitivity to their own values, cultural assumptions, beliefs, and biases to understand how these serve as both resources and barriers to the effective delivery of mental health services to diverse populations. In the Fall quarter, students examine and critically consider foundational and current literature in multicultural psychology, particularly as it relates to immigration, social class, race, privilege, and oppression. In the Winter quarter, students will examine and critically consider foundational and current literature in multicultural psychology, particularly as it relates to sexual orientation and gender. In the Spring quarter, students will examine and critically consider foundational and current literature in multicultural psychology, particularly as it relates to disability, ageism and social justice. Co-requisites: PSD 7035, PSD 7046. Students explore the foundations of group therapy and engage in group process over the course of three quarters. They reflect upon the group dynamics of their ethnographic placement, their own collective experience within the IPS and the range of perspectives encountered in the assigned academic reading. They also explore the meanings of cultural differences in a group context. In the Fall quarter, students explore the foundations of group therapy with particular emphasis on the beginning stages of group development. Students also participate in group process with a self- reflective focus on the multicultural course content. In the Winter quarter, students explore the foundations of group therapy with particular emphasis on the working stages of group development. Students also participate in group process with particular emphasis on self-reflection as well as multicultural and group dynamics related to power, privilege, and oppression. In the Spring quarter, students explore the foundations of group therapy with particular emphasis on termination, and the closing stages of group development. Students also participate in group process with particular emphasis on self-reflection, as well as clinical considerations of multicultural and group dynamics related to power, privilege, and oppression. Co-requisites: PSD 7035, PSD 7047. This course focuses on the identification, assessment, and treatment of individuals who are abusing substances. The influence of socio-economic status, cultural context, and the variations in substance use and abuse across groups will be considered. Prerequisite: PSD 7016. This is the second of a three course sequence. It is designed to provide the student with a focused understanding of the Minnesota Multiphasic Inventory-2 (MMPI-2), the Millon clinical Multiaxial Inventory-III (MCMI-III), and their adolescent counterparts. Students will learn about the psychometric properties of the measures as well as learn to administer, score, and interpret them. Other personality measures such as the Personality Assessment Inventory (PAI) and the Beck Depression Inventory will be introduced. Additionally, the field of therapeutic assessment will be discussed. Students will continue to enhance their skills in report writing, integrating evaluative data while incorporating historical and socio-cultural contextual information, and providing feedback and clinically useful recommendations. A weekly lab is also required. Prerequisite: PSD 7115. This course provides students with an overview of Social Psychology and other domains of psychological research addressing the nature and influence of culture, with an emphasis on social psychology research and theory relevant to multiculturalism, social justice and professional ethics. The course will also address some key pieces of organizational psychology research which could also be classified as social psychology. This advanced optimal-performance course emphasizes sport psychology skill development and addresses different styles of consulting. Students will be challenged by case studies and will role-play actual consulting scenarios in which they can develop and refine their own consulting style with feedback from their peers. Take after 2nd PSP internship - This is an advanced course that is the second in a two-part series. The main theoretical approaches in the field of sport psychology will be revisited and addressed from an integrated perspective. The students will be expected to synthesize the various theoretical perspectives and research findings and show how this integrated perspective can help their work with performers. The course will continue to engage students to think critically about the research presented and how it relates to their work in the field as a practitioner. (When all MA requirements are completed) $75 Fee Comprehensive oral examination covering material in all phases of the program to be taken in the student’s last quarter. Further guidelines are available in the Sport Psychology office. Aspects of the supervisory process are presented through the use of theoretical and case materials. Each student has the opportunity to participate as a supervisor in training and have his or her work critiqued. This course also includes information and skills related to supervising organizations, i.e., understanding and managing multiple levels of a system including one’s own private or group clinical practice. Prerequisite or Co-requisite: PSD 7235 or instructor permission. *If you began internship with 4.5 units. Students will apply for approved internship sites anywhere in the country that are consistent with their individual interests, training needs, and professional goals. Students will build competency in the diverse clinical skills required of a professional psychologist. Students are required to complete either one full-time, year-long internship or two-half-time, yearlong internships completed over two years’ time.